Who said there aren’t many cruelty-free and vegan makeup brands?! 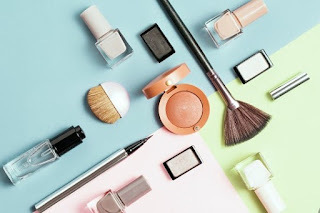 Now it's possible to find quality cruelty-free makeup for every budget, shop Devezin Cosmetics! Eric Devezin is the founder and CEO of Devezin Cosmetics, a contender in the vegan beauty movement, and is empowering women to become independent. I see many clients a week and have been doing so for years now. I am going to talk about my process today, now every artist is different but these are helpful tips that work well for me. It’s important to really find out what the client is looking for. From experience I have learned that what the client thinks they want is not always what they will like. It is up to me as your professional makeup artist to read between the lines. A lot of clients like to bring pictures in to show what they are looking for. This can be helpful but do not expect the look solely like the images. Even though you may be attracted to the way the makeup looks in the photo you could also just like the overall look of the model, their hair color, hair style, face shape or outfit. Before we meet I recommend a client choose makeup inspiration photos of models with similar skin tone, features and hair color. What event are you attending or what type of photo shoot? Finding out the event or shoot type will help to determine the appropriateness of the look. A boudoir shoot would be a slightly different look than an engagement shoot or family session. As a nighttime gala would be different from a daytime wedding or office party. I ask this question not to match the makeup to the outfit as that approach can end up looking quite dated. I wanna better understand your style. You want to be inspired by the statement of the outfit and draw that out through the makeup. While I’m working I briefly explain what I’m doing (not in too much detail but just to give you a general idea). I also say that you should feel very comfortable to tell me your honest thoughts when you see the finished look. Some clients can be worried about hurting a makeup artists feelings but no need to feel that way. Remember we are not mind readers, we do our best to create the look you think you want. If you have thoroughly asked the right questions and drawn the right conclusions 9 times out of 10 you the client will be extremely pleased. Keep in mind, when we are done, if there is an area you wish to darken or lighten let me know! If you enjoyed this post, be sure to check out other articles by Eric Devezin for more tips and tricks from a professional makeup artist!